After the success of last week’s wine product roundup (why aren’t you people so free with your coinage when I ask you to donate to charities? ), I figured I’d get an early lead on the October edition of the rummaging through of my product samples. Be forewarned, the selections aren’t cheap, but they are well worth a serious look-see. First up, is yet another wine opener (I know… I know…). 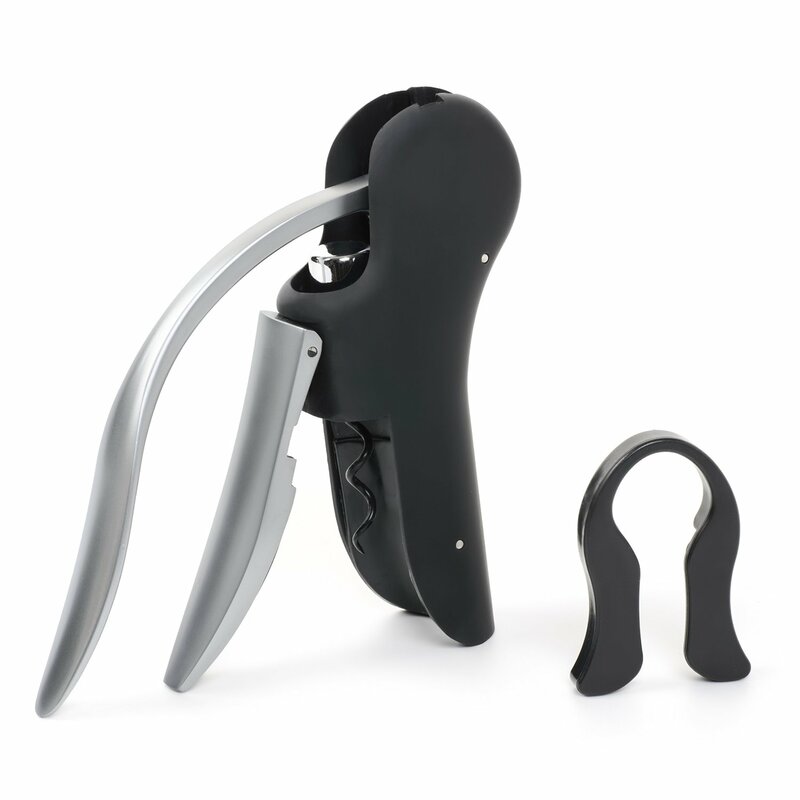 Before you throw up in your mouth, hear me out on this one: the Vinomaster Screwpull (about $45) has totally relegated my old “rabbit-style” opener to the bench for the foreseeable bottle-popping future. While I like the rabbit-style action for fast cork extraction (particularly if you’re opening several bottles at a time), I’ve lost count of how many times I’ve nearly killed myself trying to stabilize the bottle while using that opener (this is for those instances where clamping the bottom of the bottle in my crotch would be considered socially awkward). The Vinomaster not only works like a charm for yanking corks, it also looks pretty good, feels very sturdy, and the design allows you get a firm grip on the bottle without having to employ crotch-stabilization techniques. The included foil-cutter is more run-of-the-mill, unfortunately, but that doesn’t spoil the excellence of the screwpull itself. Next, there’s yet another wine aerator (again, mouth-puking should be withheld for a moment or two, if possible). 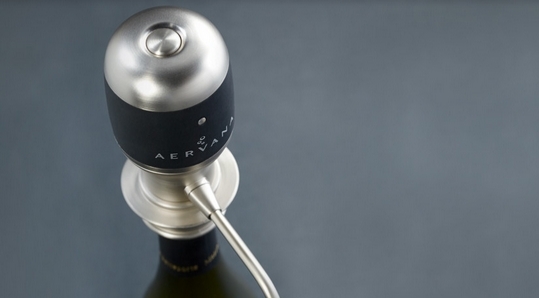 I should first tell you that I’ve yet to encounter a wine accessory that’s more fun to use than the Aervana (about $100), which is billed as the world’s first electric wine aerator. While I haven’t researched it enough to challenge that claim, I have employed a modicum of aeration testing on the thing, and was thrilled with the results (particularly on younger, more tannic reds). The thing actually has a lot going against it: it’s pricey; it works great, but not exceptionally greater than much less expensive aerators (for my buck, the Soiree still wears the crown in that department when it comes to the price/results ratio); it’s a little top-heavy; it’s a little on the noisy side; and it requires six (!) batteries to run it, which is probably more than most marital aids. BUT… There is no denying the fun to be had in using it. In my household, no one, including children, would let me get away with not showing them how it worked after catching a glimpse of it sitting atop an open bottle. Once you press the button on the top, and the whirring starts up, and the wine starts pouring out of the attached spout, it’s awesome. And the novelty doesn’t wear off quickly, either; it stays fun (though that might have as much to do with increased wine consumption as a result of using it as it does anything else). The second-best part? Cleaning the Aervana is almost as much fun as aerating wine with it (rinse the empty bottle, fill it up with clean water, and run the aerator again – brilliant!). Copyright © 2015. Originally at Hey, Big Spender! 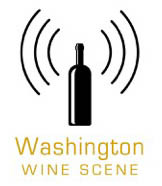 (October 2015 Wine Product Roundup) from 1WineDude.com - for personal, non-commercial use only. Cheers!